CALLEY'S YOGA IS DIFFERENT than any practice you've ever done, and we believe it is the best possible practice for first timers, A-type strivers, parents, and people in stress or pain. THE FULL BODY ELIXIR is infinitely compassionate. There are no rigid standing poses. There is strength but no strain, no stressful striving. This is truly a FULL BODY ELIXIR that has cumulatively positive effects, especially after years of daily practice. Why Practice Yoga with Calley O'Neill? Calley O'Neill's FULL BODY ELIXIR is a unique and complete therapeutic program that is fun and accessible for anyone, old or young, stiff or flexible. It’s a vacation everyday, and the truth is, in the busyness, fast pace and responsibilities of life, we need a vacation everyday. It brings peace to families. One person in the family becomes peaceful and the ripple transforms into more laughter, more patience and more fun. What’s the catch? You actually have to practice, preferably 3 – 7 days a week. This simple daily practice opens the door for healing chronic pain and spinal disorders, increasing circulation, restoring elasticity, building strength and opening inner peace, quiet mind, self-compassion, kindness and most importantly, guidance. 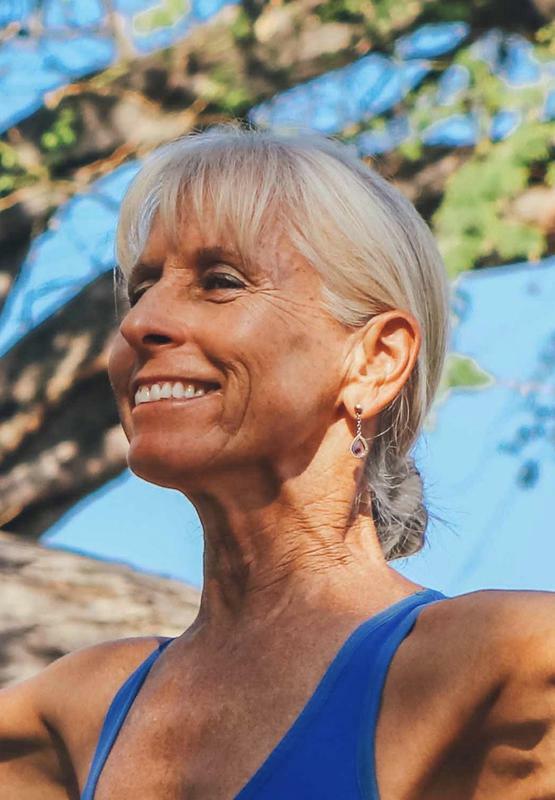 Calley O’Neill’s teaching combines yoga, qigong, deep breathing, isometrics, core activation and positive consciousness work in a powerful, effective and delightful way. The FULL BODY ELIXIR quiets the mind, rejuvenates the body, balances the emotions and nurtures the spirit, allowing it to surface and guide. When done daily or nearly so, the practice provides the basic tool kit one needs to live fully in the NOW and discover Paradise within. Here is a way to nourish your soul everyday, in a short period of time, at home.